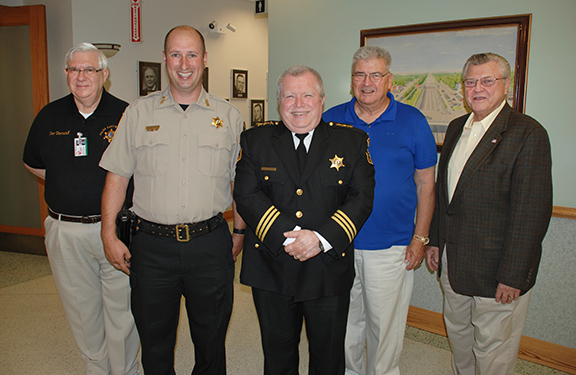 At a recent Village Board meeting, Tim Radtke was promoted to the position of Sergeant with the Westmont Police Department. Radtke started with the department in 1998. Over the years, Tim has served in a variety of roles including patrol officer, field training officer, investigator for the Major Crime Task Force of the Felony Investigative Assistance Team (FIAT), juvenile officer, as well as six years as a detective. Recently, Radtke was featured on a ABC-TV Ch. 2 news feature regarding the use of NARCAN to save lives of people experiencing a drug overdose. Tim will be assigned to the patrol division and will oversee officer shifts. Congratulations Tim!